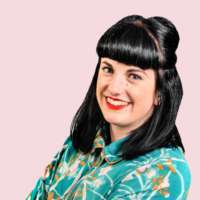 Trainee patent attorney, Jenny Smith, explores this theme by highlighting some of the amazing IP achievements of women throughout history, before discussing what the future might hold for women inventors and professionals in IP. 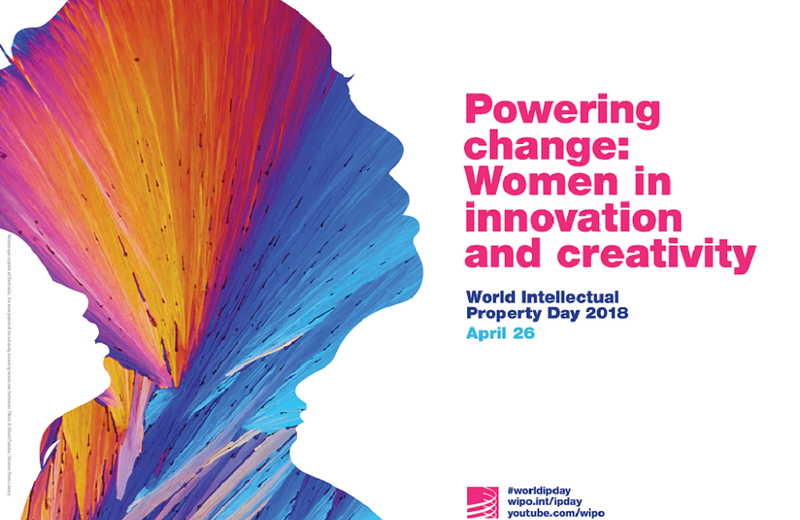 Every 26 April — the World Intellectual Property Organisation’s (WIPO’s) birthday — the World IP Day campaign celebrates the role of IP in encouraging innovation and creativity throughout the world. IP includes patents, trade marks, industrial designs and copyright. You may not realise it, but pretty much everything can have some form of IP associated with it, from the computer in your office to the car you drive home, the music you listen to and even the way the food you eat is processed and packaged. Mary invented windscreen wipers whilst visiting a wintry New York back in 1903. She came up with the idea whilst watching the driver open his door to clear the snow from his windscreen. Her patent US 743801 was granted in 1903. Hedy was a Hollywood actress in the late 1930s to the 1950s. However, she also invented spread spectrum radio transmission along with composer, George Antheil. In 2014, they were inducted into the National Inventors Hall of Fame due to the significance of their invention, which was used for Allied torpedoes in the Second World War. The principles of their work are still used in Bluetooth and WiFi technology today. Their patent US 2292387 was granted in 1942. Stephanie is the chemist that invented Kevlar in 1965. Kevlar is a lightweight and incredibly strong fibre used in a wide range of applications, from bulletproof vests to cycling tyres. Her patent US 3287323 was granted in 1966. Patricia is the ophthalmologist who invented the laserphaco probe device, which allows for the less painful and more precise treatment of cataracts. She is also the first African-American female doctor to have a medical patent granted. Her patent US 4744360 was granted in 1988. Ann was the co-inventor of the process used to isolate human stem cells. This work has been instrumental for many research fields including regenerative medicine and cancer research. Her patent US 5763197 was granted in 1998. The EPO announced the finalists for the European Inventor Award 2018 earlier this week and we were pleased to see that six of the 15 finalists are women. Their inventions range from the Sugru mouldable glue and Michelin’s auto-regenerating tyre treads, to decellularised tissue for regenerative medicine. Despite the range of inventions described above, women are still under represented in the world of IP. According to the UK Intellectual Property Office, women make up only 7% of patent holders in the UK. Internationally this figure is also low; a study of PCT applications published by WIPO in 2016 reported that only one in seven inventors is a woman and less than one third of all international patent applications have a female inventor — although this has been increasing yearly from 1995 to 2015. This could be linked to the number of women studying Science, Technology, Engineering and Maths (STEM) subjects. According to WISE, a charity set up to increase the participation, contribution and success of women in STEM subjects, the number of women graduating in STEM subjects was only 24% for the year 2016-2017. Encouragingly, there are some subject areas where female graduates dominate, including Biological Sciences (60%), Veterinary Science (77%) and Medicine related subjects (81%). Interestingly, a recent study by Yale University found that although women earn half of the doctoral degrees awarded in science and engineering, only 10% of US patent holders are women. Overall, they found that patents with female inventors were more likely to be rejected than those filed by teams of men. The study speculated that there may be a gender bias based on the gender-identifiable names of inventors. As a result, the report suggests anonymising inventors by listing only the initials of the inventor. Unfortunately, female involvement in other areas of IP such as trade marks and copyright is difficult to measure and therefore, there is limited data available. It’s not just women that would benefit from an equal playing field. IP supports growth in the economy; it was estimated that £70.4bn was invested in assets protected by IP rights in the UK in 2014. An increase women taking STEM subjects and the promotion of a fair patent system might not only boost the economy, but also increase the pool of knowledge from which inventions are created. There are several charities and initiatives out there that are working towards greater involvement of women in IP and STEM professions. IP Inclusive is a team representing the whole range of IP professionals which has several support groups, including Women in IP. The group seeks to “support women already working within the IP professions and to encourage the next generation of female IP practitioners to join the profession and climb through its ranks”. The group has also set up Careers in Ideas, which creates resources for schools and universities which raise awareness of IP-related careers and encourage recruitment from a greater range of backgrounds. STEM is a charity set up to encourage all young people to get involved with STEM subjects. Amongst other activities, the charity produces resources, bursaries, and trains STEM ambassadors, who volunteer to promote the value of STEM subjects and careers. Female involvement in IP doesn’t end with how many patents have female inventors. The world of IP includes many professions: from the people that produce IP (the scientists, engineers and academics, the musicians, designers and artists) to the people that work in IP (such as paralegals, patent attorneys, trade mark attorneys, IP solicitors, barristers and judges). According to the Intellectual Property Regulation Board, only 28.5% of IP attorneys are female. At UDL, 39% of our attorneys are female — a figure we are rightly proud of! Microbiology BSc and PhD, with integrated MSc in Medical and Biological Engineering. What made you decide to get into the IP profession? After completing my PhD, I knew that I didn’t want to work in research. I started looking for roles where I could still be involved in cutting-edge science, whilst also developing my written skills. It seemed like a career that would always stay interesting and keep me on my toes — and it is! Do you have any advice for anyone wanting to get into this profession? Work experience is becoming more common — it's quite hard to explain what the day-to-day job is like, so it's useful to get some experience of it, as it’s not for everyone. I attended an open day at another firm which was really useful. What skills do you think are useful in this profession? You need to be really interested in how and why things work, as that's what you'll spend most of your time figuring out. You need to be precise, organised and good at exams. Perseverance whilst training is so important — it takes a long time and there are a lot of exams to get through. I love the variety of the job and the exposure to such a wide range of inventions. It's never boring and I like the pressure of lots of deadlines. I have a LLB (Hons) in European Law and Languages. I went straight into the profession from university. I qualified in 2000. My degree included a year in France, where I worked for Sara Lee/Douwe Egberts in its legal department. As a huge conglomerate, it had many brands and I used Minitel (French pre-cursor to the Internet) to research brands when I was there. The advice I was given was to be able to handle my drink (!) and that once you are in the profession, everyone will know who you are. Both of these pieces of advice reflect the small, intimate nature of the profession, so it is advisable to remain courteous and respectful to all attorneys at all times. You never know when you might work with someone (again!). Time management and organisational skills. The ability to see both sides of an argument. Being able to look at the big picture and advising your client pragmatically. The variety of types of businesses that clients are involved in, being involved with clients from start-ups to large corporations to plan and organise their IP portfolios and reach workable solutions to disputes. IP solicitor and Trade Mark Attorney. Whilst legal work experience is invaluable, work experience within a marketing or research and development team would also be really helpful. They are the individuals who we speak to the most, as they are often involved in protecting their company’s branding. You would gain insight into how a company approaches and values its IP. Communication skills — you talk to clients everyday as well as professional representatives. You have to be able to approach and engage with people from various backgrounds. Also organisation — there are a lot of dates where action needs to be taken in prosecution and litigation work. I like seeing the brands I work for and with on the high street or in the news, and when there is a big case that gets people talking about IP. I don’t think my friends really understand what I do, so it’s helpful when there is a big consumer-facing brand or musician in the news, and they’re like, “ohhhh, that’s what you do”. I was working as an inventor on a patent application and met a patent attorney. It looked like an excellent job — as I am useless at pipetting small amounts! A lot is “right place, right time”. Communication: I think females may be better at striking up a rapport with clients. Don’t be aloof! Don’t be afraid to ask questions. We can’t all know everything. We are talking to some incredible scientists! Variety. Seeing the forefront of science (e.g. new diagnostic techniques). I am a physicist. I now work mainly in the fields of mechanical engineering and medical device inventions. When I was doing my research project for my MSci degree, I decided that I did not want to go into academia or scientific research (I found experimental research to be quite frustrating amongst other things!). I wanted a non-laboratory based job, but I still wanted to be involved in science and innovation, as I loved my physics degree and wanted to put what I had learned into practice. Becoming a patent attorney was the ideal solution, as you still require a STEM degree and work closely with researchers and other inventors, but in a different capacity. My advice would be to research the qualification process online — there are lots of exams and studying required, which is not for everyone. If you are still interested, then you should contact patent attorney firms to find out if they offer work experience or other schemes. I enjoy meeting inventors, being shown their new products and concepts and helping them to protect their intellectual property. No two days are the same and we get to meet some great people with exciting ideas. I was interested in science and innovation, and did not want to work in research. It is a small and competitive profession — you’ll need determination and perseverance. Interest in the subject matter, attention to detail and the ability to grasp ideas quickly. Variety of subject matter, learning about new innovations that could improve our world and the range of people you meet. BSc in theoretical physics and postgraduate experience in experimental physics. The prospect of varied work appealed to me and getting to see the finished product of a research process. I hadn’t realised that IP firms hire scientists until I attended a careers day centered on the world ‘outside of academia’. It sounded hugely interesting and still sufficiently technical to be challenging. What do you enjoy most about your job? Reading patents, applications, and coming up with solutions that resolve the issues inevitably highlighted by the patent office.